Divorce can be extremely painful both emotionally and financially. A lot of work goes into getting everything settled and straightened out, and car insurance is no exception. Understanding the process of separating your car insurance from that of your ex-spouse after divorce can make it a lot easier. Six rules apply to separating your car insurance policies after a divorce. The rules will apply to all couples who are both listed as named insured on the same car insurance policy. Handling the separation of car insurance is often one of the final steps to a divorce. Get through this transition and hopefully you can start looking forward to a bright future very soon. One cannot remove the other without consent. It is nice when a troubled couple can work amicably with each other. Unfortunately, it is not always the case. People caught in a divorce situation often want to split everything up immediately and take what is theirs with little concern for the other person’s feelings or wellbeing. But because car insurance is essential to driving legally, removing your ex-spouse or their vehicle from your insurance policy is not allowed without their consent. While this might be frustrating, it also could be a lifesaver for you. Make sure to know your rights -- and that of your ex-spouse. Having separate living arrangements is usually one of the first steps in the divorce process. Separate addresses are the start of separating liability. 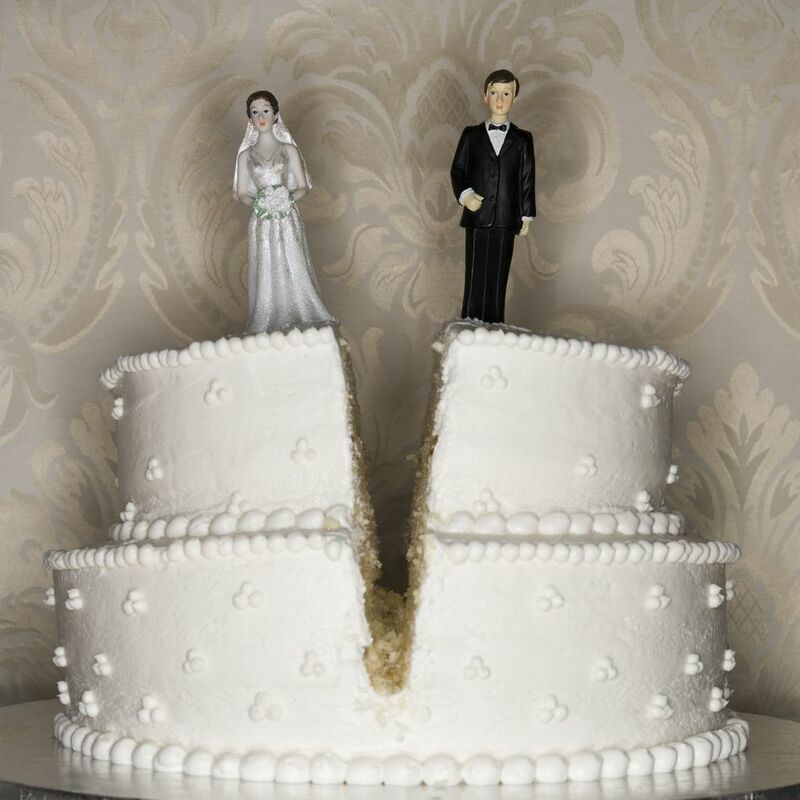 If the divorce is not finalized and you both still live at the same address, liability is still shared. Obtain separate living arrangements before separating your car insurance policies. Most insurance companies require the person insuring a vehicle to be listed on the title. A co-owner not living in the same household needs to be listed as an additional insured person. To keep things simple, each individual should be driving a vehicle titled solely to them after a divorce. It is possible to find insurance companies who do not care about the titling of a vehicle, but most preferred insurance carriers require the named insured to be listed on the title. One person will have to get a new policy. Obviously, someone is going to have to get a new car insurance policy. The new policy can be with the same insurance agent or company, but it might be a good time to start shopping for car insurance. It really does not matter who gets the new policy. The first named insured often keeps the current policy. If the home is also insured with the same carrier, it might be easier for the person who keeps the home to also keep the auto policy and save on bundling. If you’re the one in the market for new insurance, it definitely makes sense to shop around before committing. Purchase a new policy before being removed from prior policy. This rule ties in with rule number one. New insurance needs to be in place before removing both the vehicle and driver from the pre-existing car insurance policy. It is important both named insured drivers consent to the removal of any driver and vehicle. Removing one without knowledge could force someone to drive without insurance unknowingly. Remember, you are not allowed to remove a named insured without their consent. To verify the named insured driver has given consent to be removed, most insurance companies require a signed request before they will remove that person from the policy. Without the signed request, the person keeping the auto policy will continue paying for a policy which lists (and covers) both drivers. This is where it can get really sticky. If one of the named insured drivers is not cooperating, it can be difficult to separate policies. Usually, the uncooperative person will be left on the policy, while the person wanting separate policies can obtain the new policy and sign the removal request form. Ideally, you do not want to separate car insurance before the divorce is final. Often one or two of the rules above are not taken care of until the divorce is final. If you absolutely have to separate car insurance before the divorce is complete, be sure to follow all the rules above. Part of the reason for waiting to separate the policies is because sometimes couples reconcile. It can be really annoying for insurance agents if they go through the work of separating car insurance policies just to turn around and re-combine them. Wait until you are certain the divorce is inevitable if it is not already finalized.